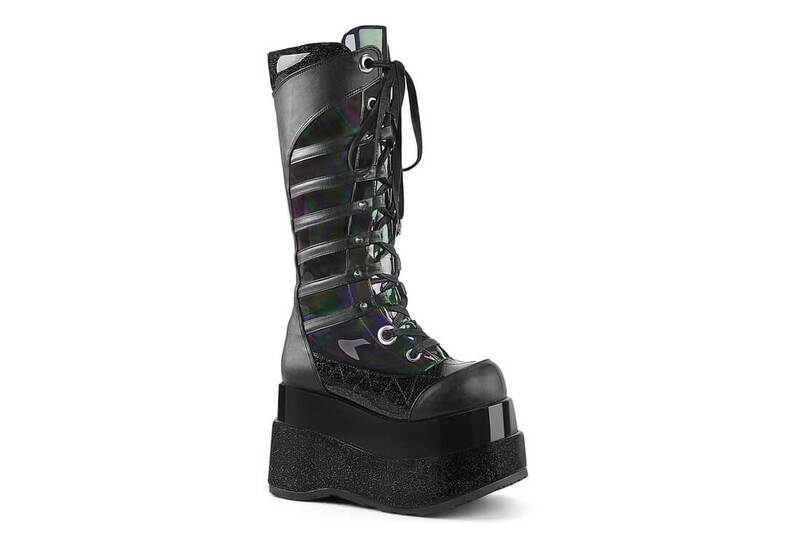 Step out into the night with these awesome hologram platform boots from Demonia. The Bear-205 has a 4 1/2 inch stepped platform with a lace up front. 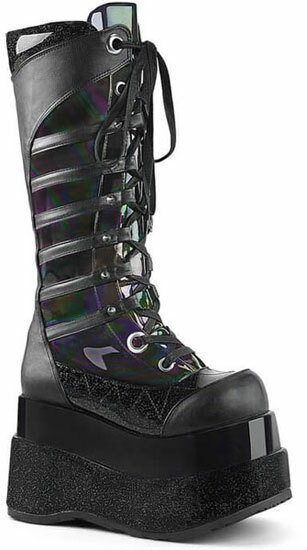 Cone studs and grommets adorn the front of the boots and comes with a full inner zipper.